Doctor Who spin-off Torchwood will return for a fourth series with a more international flavour, the BBC said. The 10-part series will be funded by BBC Wales, the corporation's commercial arm - BBC Worldwide - and US cable network Starz Entertainment. 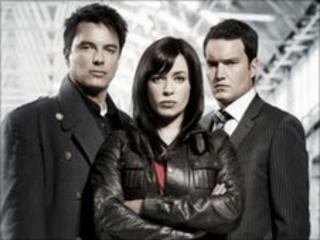 John Barrowman will return as Captain Jack alongside Eve Myles, as Gwen. While previous series have been recorded in Cardiff, new storylines will include locations in the US and around the world. The first series of the sci-fi drama was shown on BBC Three in 2006 with the second broadcast two years later on BBC Two. The five-part third series, Children of Earth, was shown on consecutive nights on BBC One last July. Torchwood creator and former Doctor Who head writer Russell T Davies will lead a team of writers to create the new series.